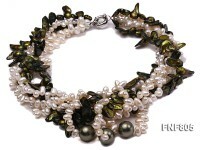 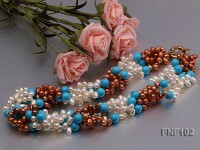 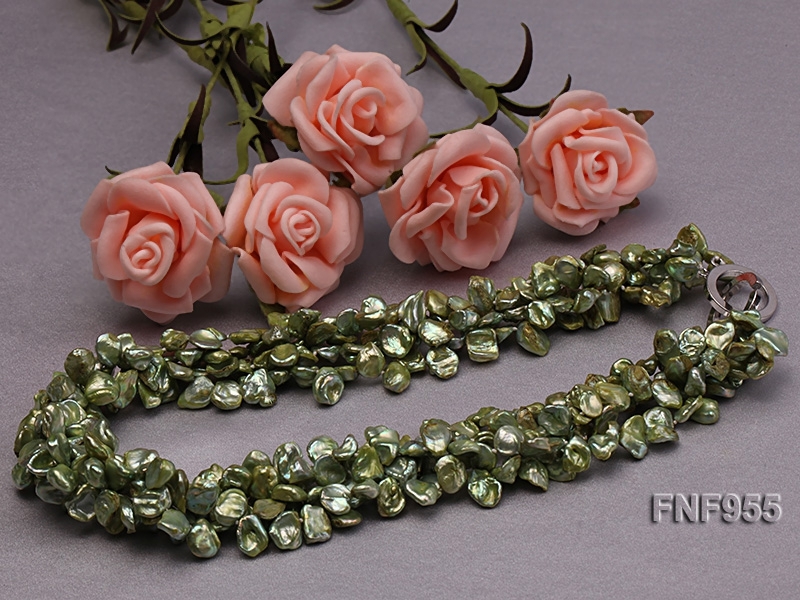 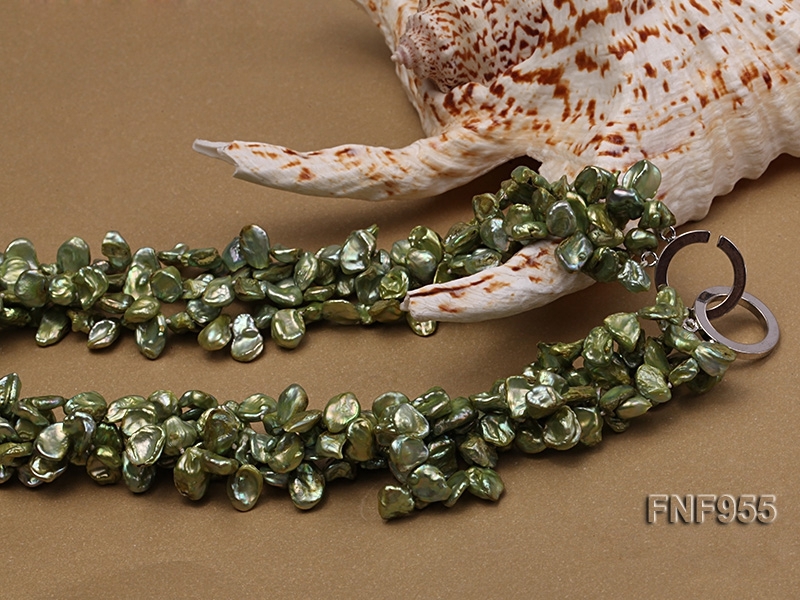 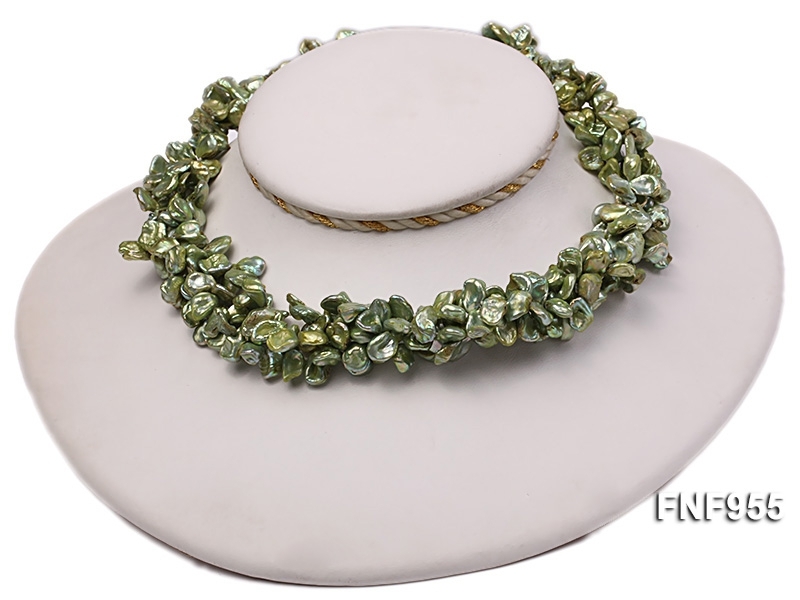 The is a very lovely four-strand necklace set with 7x13mm yellow-green cultured freshwater pearls. 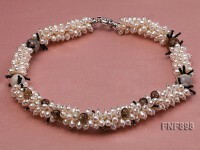 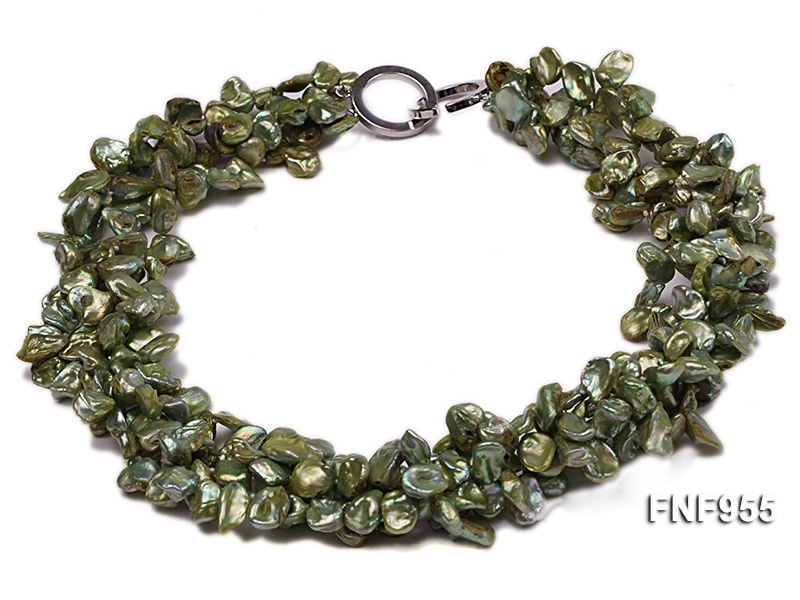 The necklace has a length of 17 inches and is ended with an argent gilded toggle clasp. 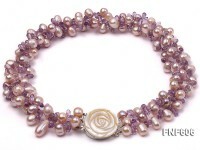 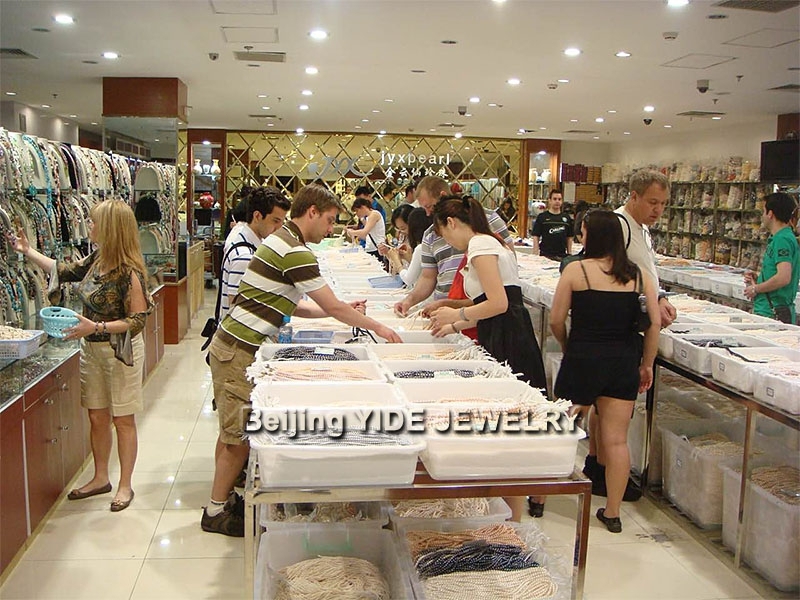 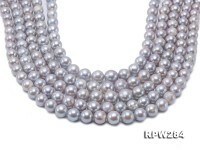 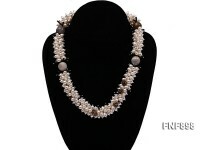 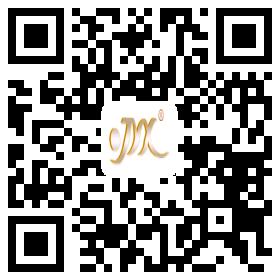 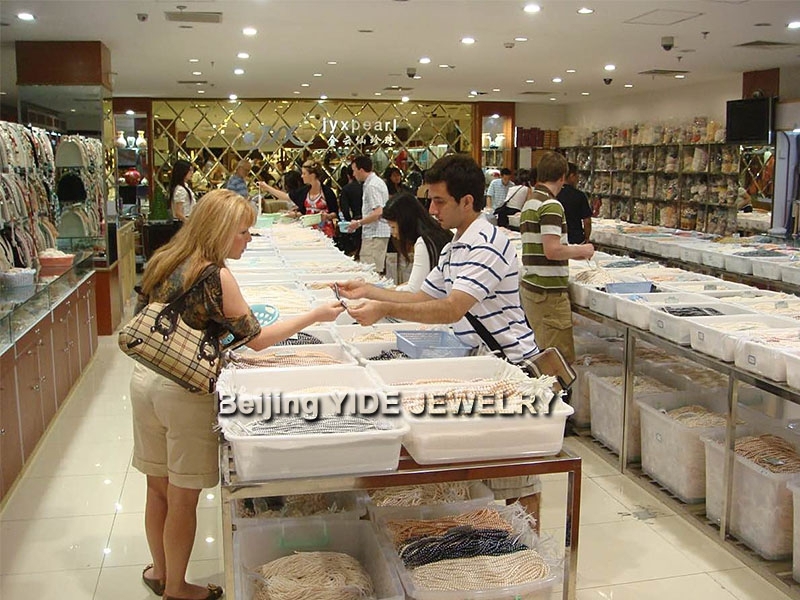 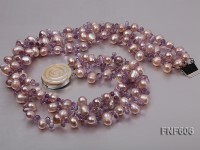 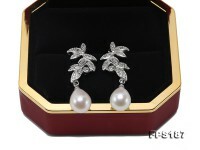 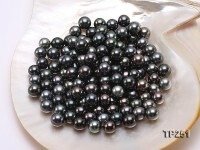 The pearls have irregular shapes and thick nacre.